New Directions Publishing Corporation, 9780811221986, 336pp. "I grew up in the certitude that one day I should help give back the earth to those who ennoble it with their courage and warm it with their love." Promise at Dawn begins as the story of a mother's sacrifice: alone and poor, she fiercely battles to give her son the very best. 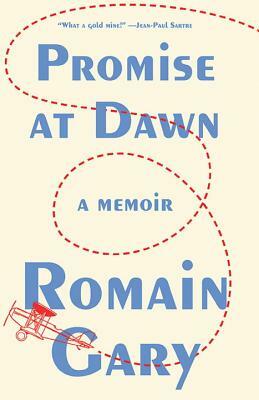 Romain Gary chronicles his childhood in Russia, Poland, and on the French Riviera and recounts his adventurous life as a young man fighting for France in World War II. But above all he tells the story of the love for his mother that was his life--their secret and private planet, their wonderland "born out of a mother's murmur into a child's ear, a promise whispered at dawn of future triumphs and greatness, of justice and love."